¿Qué hago para mi hermanito? 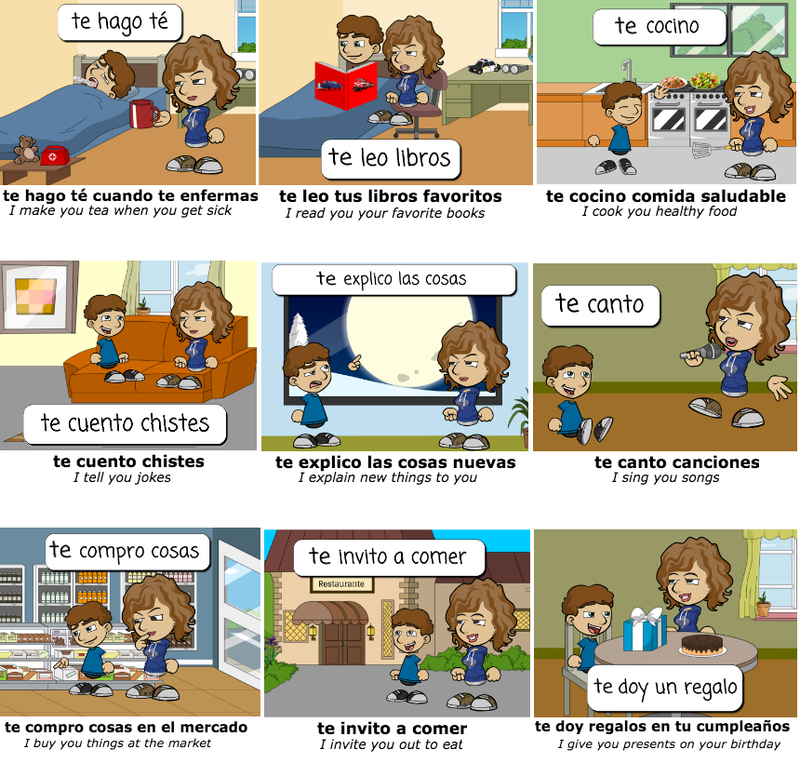 Here you're being introduced to indirect object pronouns. Notice that when you do things for your little brother, you don't say that you do them for tú, but instead say that you do them for te. That's because you're the one doing the actions, and he's receiving. Take a look at some things that you can do with your best friend, below. ¿Qué hago con mi mejor amiga? Notice that le means her. Le also means him. Take a look at the chart below. ¿Qué hago con mi hermanito y mi mejor amiga? Use indirect pronouns when you're doing someone a favor, saying, sending or giving something to someone.